I would have loved to have seen the Conservatives’ manifesto planning whiteboard. I can imagine there were quote a few categories. Some ‘definites’, some ‘not sures’ and some ‘to get some votes but be negotiated away in coalition negotiations’. The withdrawal from the European Court of Human Rights (ECHR) has been already proven to be one of them, as legislation for it wasn’t in the Queen’s speech, mainly because David Cameron knows enough Tories wouldn’t vote for it that he couldn’t get it through. But what was in the Queen’s speech was a Housing bill in which there are plans to allow tenants of Housing Association properties to buy their properties at a discount, under what is an extension of “Right-to-buy”. This, I think, was under the same list as the legislation to pull out of the ECHR – something that would never have survived coalition negotiations. But the reason it made it into the Queen’s speech is that it can be kicked into the long grass because of difficulties implementing it – not because it wouldn’t get Tory votes – which it probably would do. A conversation I had yesterday with someone who works for a housing association confirmed this. 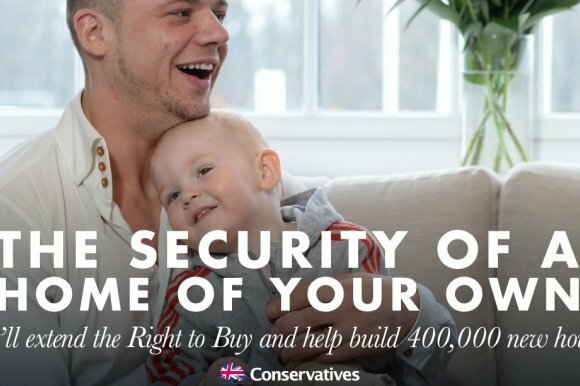 “Right-to-buy” was a flagship Thatcherite policy given to council house tenants in the 1980s (and used by Nicola Sturgeon’s parents before her party pulled up the drawbridge in Scotland on that one). Housing Associations are a bit different from council houses, as they are not for profit organisations that rent houses and flats to people on low incomes, so these properties are not owned by the government. Hence the need for legislation on it – the government are effectively forcing non-government organisations to sell their properties. Housing Associations don’t lose out though – as the government will spend, according to the National Housing Federation – up to £5.8bn a year recompensing the Housing Associations for the difference between the price the tenants can buy the properties and their actual market value. Given some of the discounts could be up to £100,000 in London and £77,000 in the rest of the UK, this is an expensive policy. It will also do nothing to address the chronic housing shortage in this country. It will also turn a need (shelter) into a marketable commodity and, whilst a Housing Association tenant will need to live in their property for two years before they can sell it after buying it at the discount, I have little doubt some people the policy was not intended to benefit will do so. For instance, after those two years I would bet quite a few properties will be sold onto private landlords who will rent the properties out at market rates. Also, quite a few housing association tenants will be approached by professional property investors who will offer them funds to buy their property in return for a share in the profits once the property is sold. Is that really the purpose of this policy? Arguments can rage back and forth about the policy, but it was in the manifesto, and there are 1.3m Housing Association Tenants, and there is big money to be made by them, and many may have switched their votes to the Tories because of it, so an attempt has to be made to get it onto the statute book. That doesn’t mean it will actually happen. Housing Associations aren’t too bothered about the policy as they get their money back. They also realise that there are some tenants who could perfectly well afford to buy a home but for historical reasons have access to a Housing Association property, so this might even be an economically efficient policy to that extent. But the key issue is where the money will come from to pay for the scheme. According to a report in the Guardian – “Local Councils will be forced to sell about 5% of their most valuable housing once it becomes vacant and build more affordable, cheaper properties with the proceeds. The government argues that this will mean the number of affordable homes will double for each home sold, thereby increasing the national housing supply. That sounds all very well. But apparently this “5% of the most valuable housing stock” is simply not available and is unlikely to become available for a very long time. This means it will be almost impossible to raise the money to implement the policy, and this means that the policy will almost certainly not happen, with the government able to blame these “unseen problems” for them not happening. I think the Conservatives knew this before they announced the scheme. The scheme was red-meat for both UKIP-waverers and also for some floating voters who lived in Housing Association properties. But it was never supposed to be fully implemented, and I predict it won’t be.